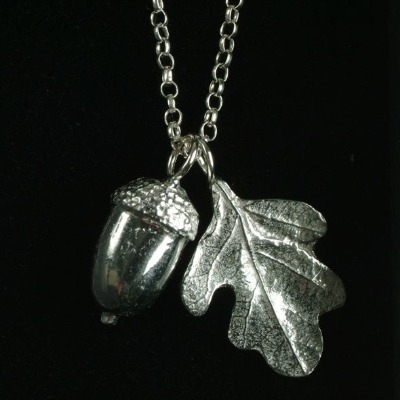 This beautiful acorn and oak leaf "from little acorns" pendant has been handcrafted in England from the finest lead free pewter, meaning it will not tarnish and can be treasured for years to come. 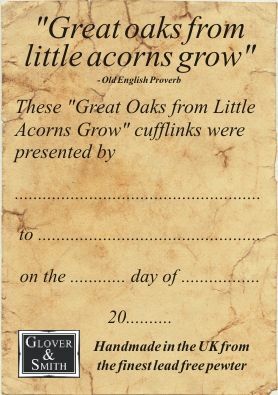 This pendant is a useful gift, which the child can actually use in later life. It comes supplied on an 18" sterling silver chain and measures approx 15mm. 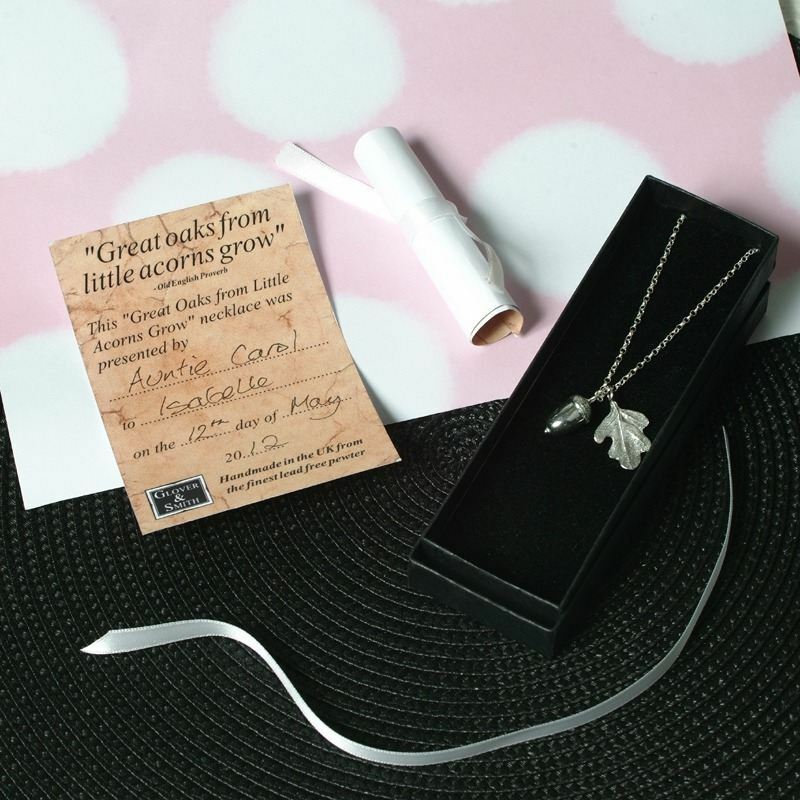 Supplied in a gift box with a special presentation scroll, where you can fill in the date and the names of the giver and recipient - making this a truly special Christening gift for a little girl.